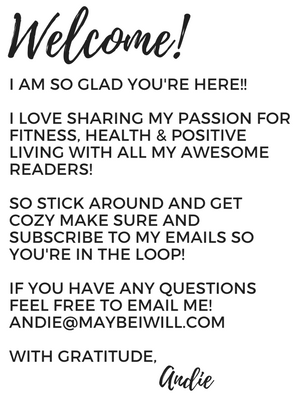 As a health and wellness blogger, you think I would be the first to jump on the train when it comes to new and exciting trends… And in a lot of cases that is true. But when it came to chia seed pudding the idea frankly didn’t make much sense to me. I mean I like chia seeds, I throw them in my oatmeal, granola, and shake. That is about where the adventure into chia seeds ended for me. 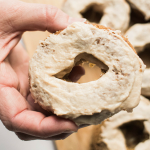 Why on earth would anyone want to eat chia seeds + almond milk or other beverage?! Why would anyone get so excited about something so dang simple? But yet the trend seemed to be growing. 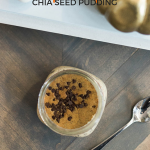 I finally one day on a whim decided to try making this ‘chia seed pudding’ with some of my beloved EAS AdvantEDGE premade protein shakes. The recipe was so simple it seemed destined to fail- 4 TBS Chia Seeds + 1 Cup Liquid of Choice – In this case, it was my beloved AdvantEDGE Rich Dark Chocolate Shake. I mixed up the two and placed them begrudgingly into the fridge to wait the 3 hours for them to ‘set’ whatever that meant. I went on about my day. In the afternoon I finally made it back to the fridge to retrieve my concoction – I grabbed my spoon hopping this would help me curb my cravings for something sweet. And to my amazement the chia beads mingled and swelled to create a really unique but strangely refreshing texture -The chocolate was just the perfect amount of sweet and a chia seed pudding fan was created. I have since been on a kick, and love creating new flavor combos. 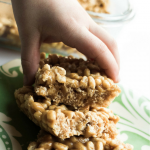 I love Almond Joy candy bars – they are the first thing to be stolen from Halloween jack o lanterns – just ask my kiddos 😉 So I love playing with that flavor profile in an attempt to satisfy my cravings for candy! 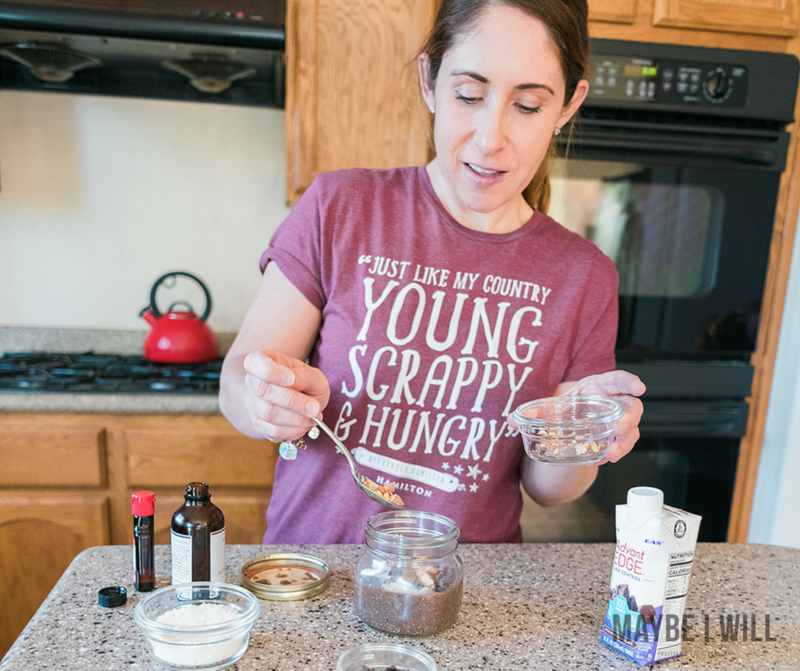 And with that in mind the Joyful Almond Chia Seed Pudding was created and of course, me being me – had to add an extra protein punch! 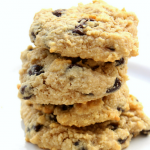 Guys, you will freak out by how truly simple and delicious this recipe is! 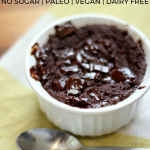 And hopefully, I’ll convert a few more chia seed pudding fans! This may look like a lot of ingredients – but most are toppings! Really there are only a few main ingredients and the others are if you want to church up your pudding! 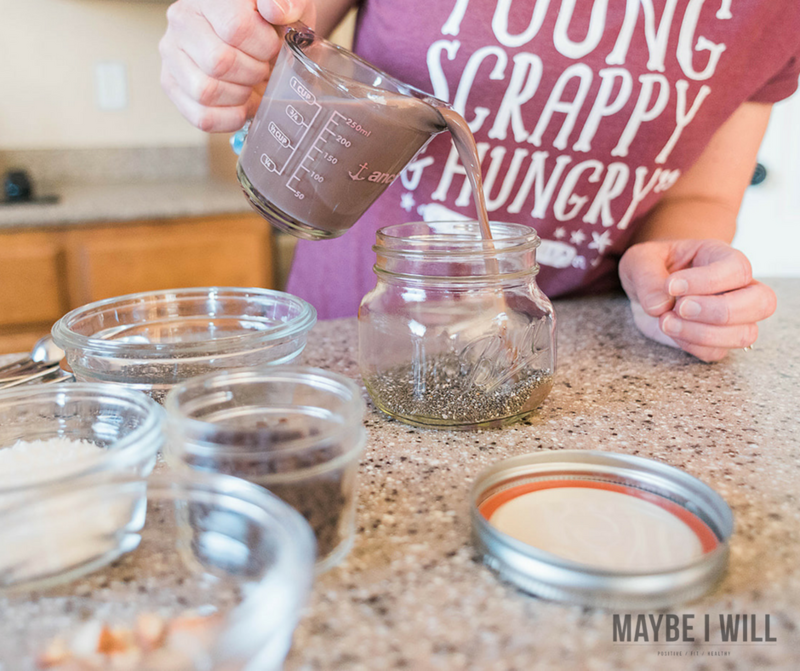 Add 4 TBS Chia Seeds into a wide mouth mason jar – or another closed container. These cute little jars I picked up at Target are perfect, for overnight oats and chia seed pudding! Add your seeds and pour in 1 cup chocolate flavored premade protein shake! I personally love EAS AdvantEDGE brand – but any brand you prefer will work. My husband even made up some with his Muscle Milk. Add your almond and coconut extracts and shake, shake, shake it up – feel free to sing and dance along to Taylor Swift if you feel so inclined. Sometimes you will see a little clomp form on a corner at the bottom and your shaking won’t help the situation – just grab a spoon and give it a good stir – then place in the fridge for at least 3 hours – they will keep for about a week – so they are great for meal prep! 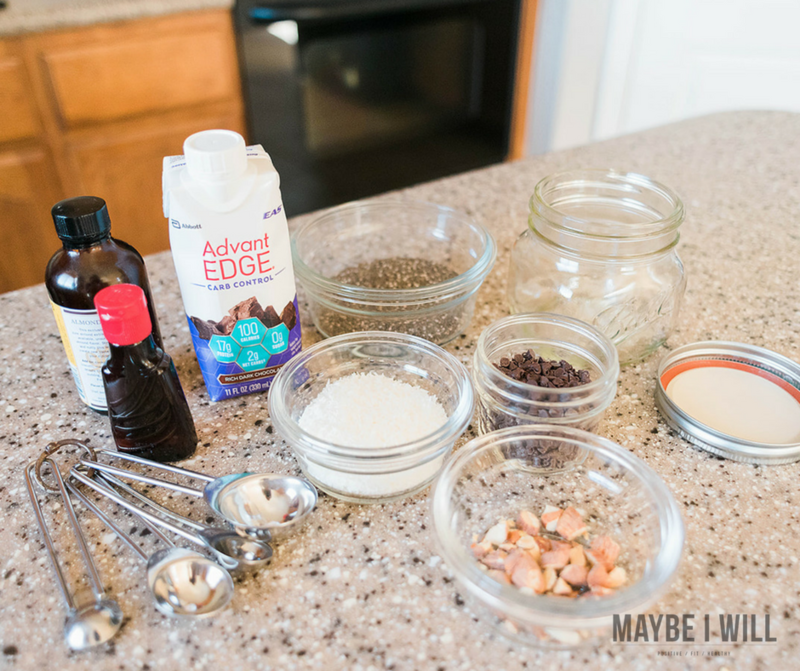 Once you remove your pudding from the fridge now you can get fancy with your toppings – I like to add chopped almonds, unsweetened coconut, and a few dark chocolate chips to really bring home that joyful almond flavor! 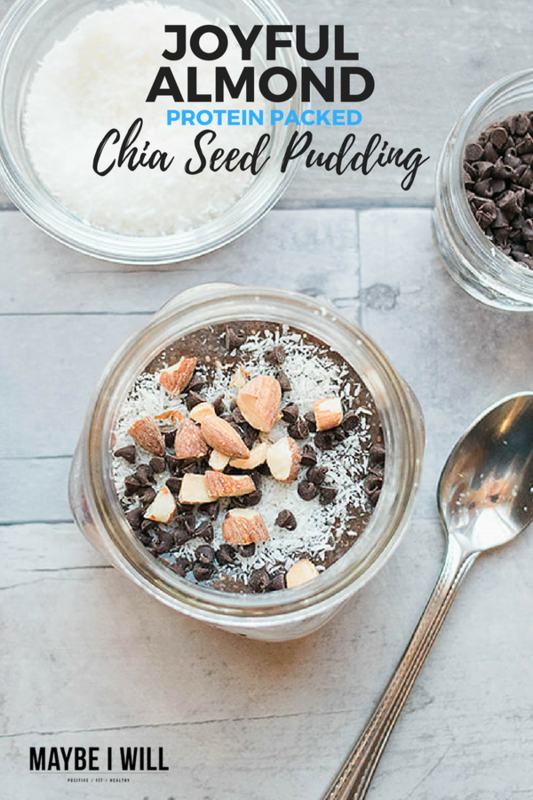 This tasty chia seed pudding is a cinch to make and will help crush your candy bar cravings! 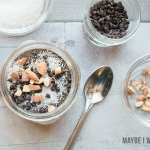 Once the pudding has 'set' top with coconut, dark chocolate chips, and chopped almonds! Really that is all there is to it!! 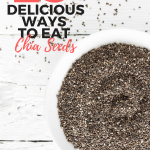 It really is super simple and the texture is crazy light and refreshing – chia seeds are also really good for promoting hydration! So this is the perfect refreshing summer treat!